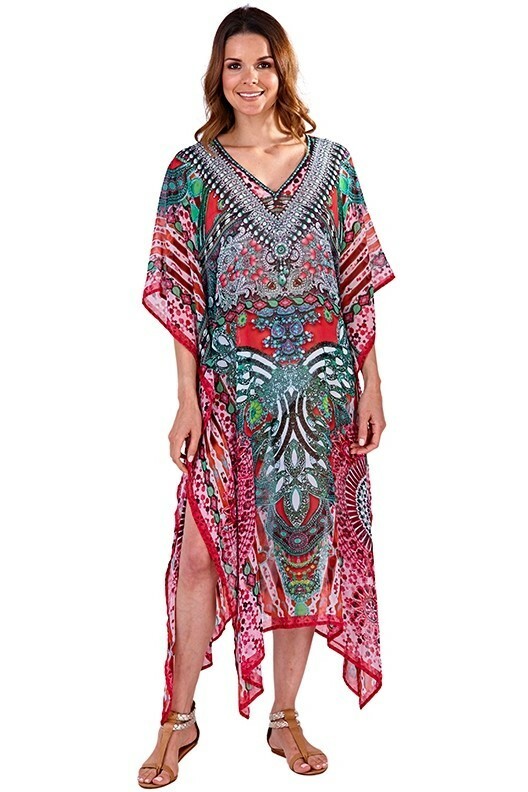 Ladies maxi length 120cm jewel and shell print embellished kaftan. Available in sizes S/M and M/L. Made from 100% polyester comes in packs of 12.